Wondering how to make the most of your social media? We asked these designers for some wisdom – wonder no more! Freelance work is on the rise – and UI design isn’t lagging behind. But with every wave of opportunity comes a second wave of challenges. Where does social media fit in? Are social media platforms filled with opportunities for freelance UI designers, or are they just another chore that freelancers have to suffer in search of success? The debate is ongoing, and will likely persist for a long time as social media gains more and more importance in our lives. Social media isn’t too complex, but it does require work. For freelance UI designers, constant updating and posting are key to build an online following, and care is needed to craft a good reputation. Your profiles are likely to be the first impression potential clients get of you – much like a job interview, you need to make a good first impression on your social media. While opinions differ greatly about how UI designers should approach social media, there is no doubting its potential. So, we gathered a few awesome freelance UI designers who make the most of their social media to see what they had to say about it. Mike is an experienced designer who has been a freelancer for nearly 15 years. Mike has maximized the benefit from his Twitter by becoming part of a community of freelance UI designers and taking part in the online conversation surrounding UI design. 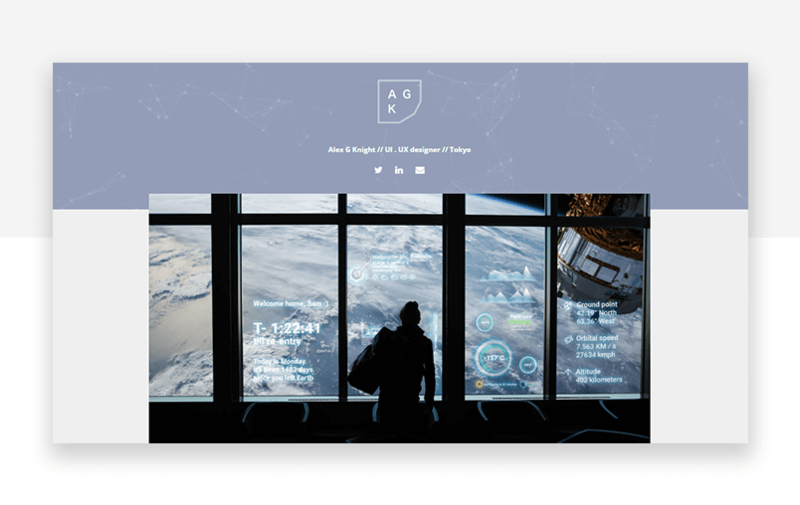 His Twitter shows the professional freelance UI designer for hire but also the human behind it, the real person that shines through his professionalism – leading to a freelancer with plenty of expertise that just about anyone can relate to. How would you say social media has helped you career as a freelance UI designer? Social Media has helped me build contacts with other designers and developers from all over the world. I use Twitter to keep in touch with professionals in the same tech space as me, we often share leads, availabilities and comment on each others work. My career has also benefited from following some really talented people. I learn every day, be it a shortcut or introduced to some new software, it’s important to keep learning. I’ve also gained new clients from interacting with them online. Do you have any tactics or strategy in your use of social media? I try to be myself on social media, I aim to be open and friendly to ensure potential clients can see my personality through my tweets. Posting my latest portfolio pieces and blog posts to social media also ensures any clients looking me up see that I’m still active and relevant. If I have content to share I make sure I share twice, one on UK time and one during US time. I try to pick times of day that will get the most interactions, it can be hit and miss but worth experimenting with when you post content. If you could give advice to young freelance designers regarding social media, what would it be? Be engaging, share relevant content. Don’t share too much but don’t leave your profile empty. Try not to be too negative, moaning can really put potential new clients off, remember everything you say can be seen by anyone. Read the Buffer and Moz blogs, they always share really great content about growing your followers/site traffic. Enjoy yourself and do great work to share. Go on and check out Mike’s website to see some of his work – you can also check out his Twitter profile. 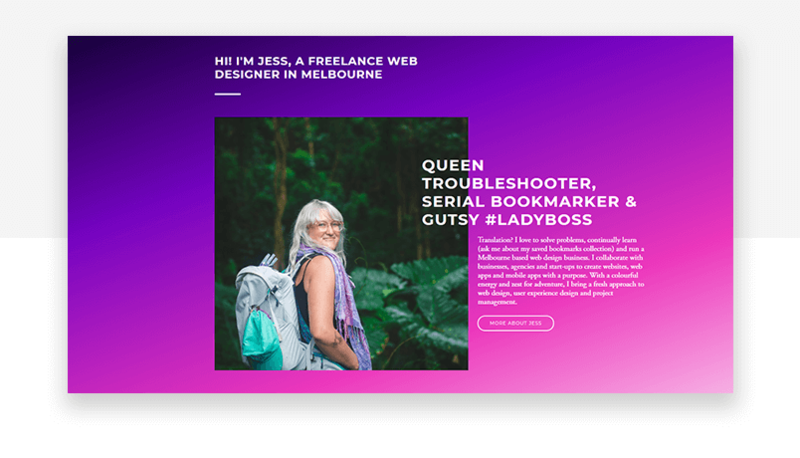 Jess is an experienced freelance UI designer who is known for her designs, which speak volumes regarding personality and identity. Her social media efforts focus on LinkedIn, which is carefully crafted to showcase her expertise and shows off on some of her best work. I hate the pressure of posting, the anxiety of craving likes and the attention that it seems to require. Honestly, I’d rather just be outside, frolicking in the garden and not worrying about getting the perfect plant pic to craft into some well-meaning story. Have I done that? Of course. But now? Not so much. Some of my favorite projects, clients and teams have all started from a simple direct message on LinkedIn. I was actually quite surprised the first couple of times I received messages from people who were keen to chat about their project. The first “LinkedIn job” that I kicked off was a web design project for a luxury travel company. I was initially contacted by the freelance developer who had won the job initially and was looking for a designer to work with. I could see from his past work and relationships that this was likely to be a great project … and it was! The second project is a client that I am still freelancing with today. We’ve created two websites, an app and countless other digital strategy pieces. They are some of my favorite people to work with and again, I was able to easily qualify them from the very first conversation. How did they find me? A simple search on LinkedIn. For me, I have taken a slow, organic approach, where every year or so I review my content, my tone and my style and see if it still reflects my style of work and how I like to present myself. I’m a very colorful, energetic type of person, so I prefer my LinkedIn and website to reflect this attitude. I know I am more likely to win business that fits my vibe if I can put my vibe out there to begin with. This comes through in my conversational and light-hearted tone, colorful design aesthetic and the style of photos I choose to represent myself. For example, my logo is a smiley face, my website is purple and pink and the photos you see of me are from my travels (the current ones are hiking in Hawaii). These all reflect my ethos and in turn help clients gauge if I’m going to be a good fit for their project. I’ve found it helps me win jobs that truly align with my style. If you could give advice to young freelance UI designers regarding social media, what would it be? Understand search terms. Think about how potential clients might search Google or LinkedIn… terms like UI designer, freelance web designer, freelance UI designer, UI designer Melbourne, etc. Make sure to use these appropriately in your profile. Take time to craft copy. Any content online has the chance to be somebody’s first look at you. Be sure it’s friendly, approachable and in line with what you want to communicate to others. Share your best work. Be sure it’s easy to find projects you’ve worked on. Either link them directly or be sure your website is easy to find. Get some recommendations. Be sure to reach out to past clients and colleagues and ask for recommendations through the tool on LinkedIn so they show in the recommendation section on your page. Take a page out of someone else’s book. Find a freelancer you admire online. How are they communicating? How have they structured their social? Get some inspiration from others that fit your style. If you would like to know more about Jess, feel free to check out her website and her awesome LinkedIn profile. Nicole has years of experience as a freelance UI designer under her belt, and has successfully established herself as an industry blogger and mentor. 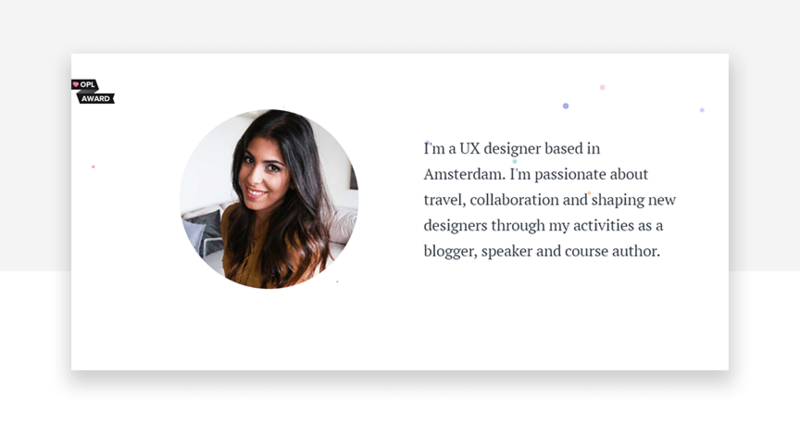 Aside from her website and blog, you can also find her at Rookie Up where she mentors others on coding, wireframing and pretty much all things UX-related. Social media is one of the main key factors that made me successful when I was working as a UX design consultant. Being a conference speaker, blogger, bootcamp teacher and freelancer, I used social media to attract clients and new opportunities and it was one of the main sources for that. I didn’t just publish a Facebook post saying “please hire me” or “will design for food”, that’s not the best way to do it. Your social media profile should clearly say that you’re a passionate designer, without directly saying it. Showing your passion towards what you do not only will keep you motivated but will also clearly show to your audience that you’re an expert in what you do. This will make people remember you when someone mentions that they need a UX designer and they will refer them to you. It will make them think “oh yeah, I know this designer on my Facebook who looks like they know what they’re doing”. The key here is for you to be well known for the quality of work that you do and get referred by friends, without actively asking for it. Keep it as smooth as you can. You can check out her website and blog if you want to know more about Nicole. Alex is an Australian UI/UX designer who decided to live in Tokyo – and we’re so glad he did. His style both in design and photography boasts of dark tones and bright neon lights, making just about everyone in our office want to pack and move to Japan. You can check out his UI skills on his website. We asked Alex about how he uses social media, and this is what he had to say. Social media has been a great tool for me while being a freelance designer. Connecting with communities and getting your work in front of potential and existing clients often is extremely important. Creating a strong personal brand and online presence takes a lot of interconnecting pieces such as blogs, interviews, community participation and contributing to projects. I think social media not only gives you a voice to share those things, but allows you to connect with people in a more personal way to promote real conversations, rather than just broadcasting your thoughts over the internet. I try to keep a steady flow of content. Doesn’t always have to be my own, but at least related to my goals or something that might help others out. This should help grow followers that relate to your field and potentially looking to work together on projects. Secondly, I try to pay attention to what others are doing or current trends. Knowing what is happening will help you connect with others easier if you see some kind of opportunity that you think you could help out with for example. And lastly, try to help out people where you can. By being the person who people can ask a question here or there, you become the first person they think of when a project comes up. Look for opportunities to connect and get involved with communities that can benefit you and try to surround yourself with like minded people, that you can learn from, share with and maybe even work with in the future. I also think it’s important to separate work from play with your online brand. I try to avoid being to personal or emotional on my work related accounts. These feeds stick around and potential clients often like to read back and do their research, so posting an emotional rant 4 months ago, that may not even apply anymore, can be harmful to your brand. I suggest having a more personal account for that kind of this if you need. In case you’re wondering about his awesome photographs, you can appreciate his full talent with a camera on his Patreon profile. Most of us spent quite a bit of time on social media. For freelance UI designers, however, social media goes beyond simple entertainment and right into the field of professional development. It can be an effective way to convey what kind of freelance UI designer you are, where you’ve been and what you’re looking for. 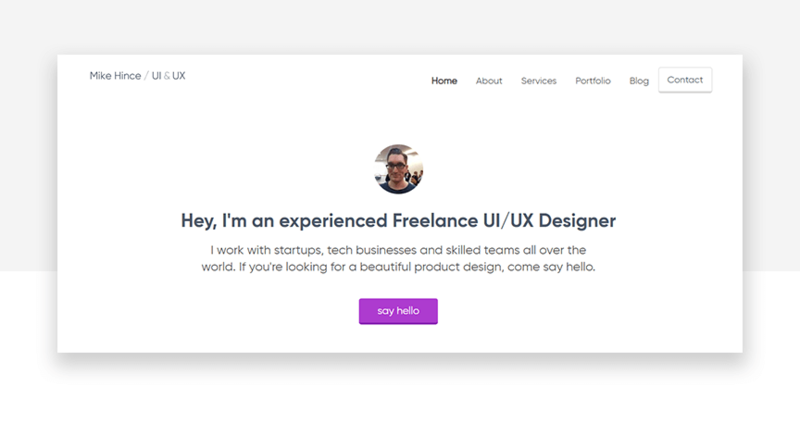 In broad strokes, freelance UI designers are greatly encouraged to connect with other professionals in the sector. This can result in new friends, new clients and new co-workers. It’s not without its tricks – you have to be careful with what you post online and how you present yourself in your profiles. With some care, however, you should be able to get much more than you invested.